Disclosure: This is a sponsored post. I am a blogger advocate for the Walgreens Wellness Tour with the National Urban League and will be compensated for my time. All opinions and views are my own. Just about every device that we use in our household runs on a battery. It is what keeps them going and provides the opportunity for uninterrupted usage. But, you know what happens to those devices when the battery suddenly loses its charge? Well, they start to respond much slower, function improperly and simply power down. The devices are no longer good to the people around it. There is a sense of panic to restore them back to a more efficient state. And once the devices are recharged and back to their original form, life is suddenly enjoyable again. This is no different than taking care of yourself. As a mother, I know the importance of being healthy. A completely charged body gives me the energy to get through the day and balance all of the duties of being a parent. 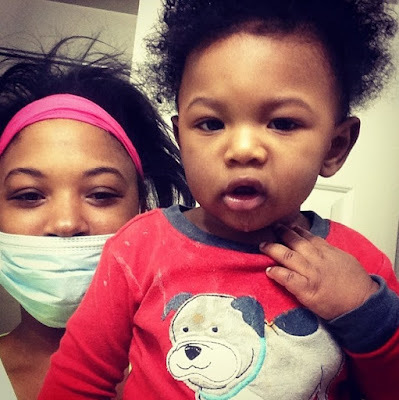 I understand that my overall wellness is conducive to the well-being of my family. Still, I fall short when it comes to being the healthiest person I can be. I know that I can do better to gain control of my health and be able to offer myself completely. I want all parts of me to be restored, boosted and available so that the people around me, especially my children, can benefit from my healthy state. Enter the Walgreens Wellness Tour with the National Urban League. 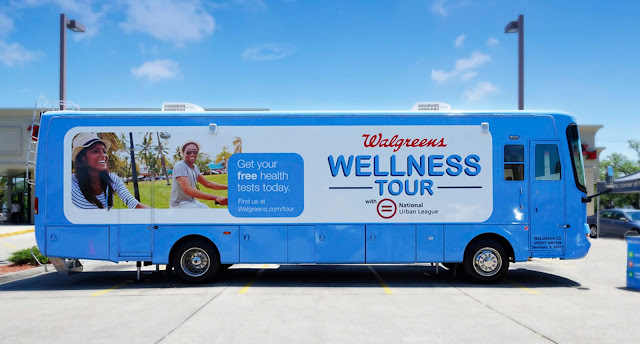 Returning for its ninth year, the Walgreens Wellness Tour has partnered with the National Urban League to provide "free preventative and early detection health services to urban and at-risk communities across the country". The health tour’s bundle of free health tests and risk assessments is designed to provide participants with personal health insights that may indicate symptoms and potential risks for cancer, heart disease and diabetes. Tests include total cholesterol, glucose, blood pressure, body mass index, body composition, skeletal muscle, resting metabolism, visceral fat, real body age and body weight*. Collectively, the health tests are valued at more than $100. The health tests are administered by certified wellness staff and are available to adults who are ages 18 and older. 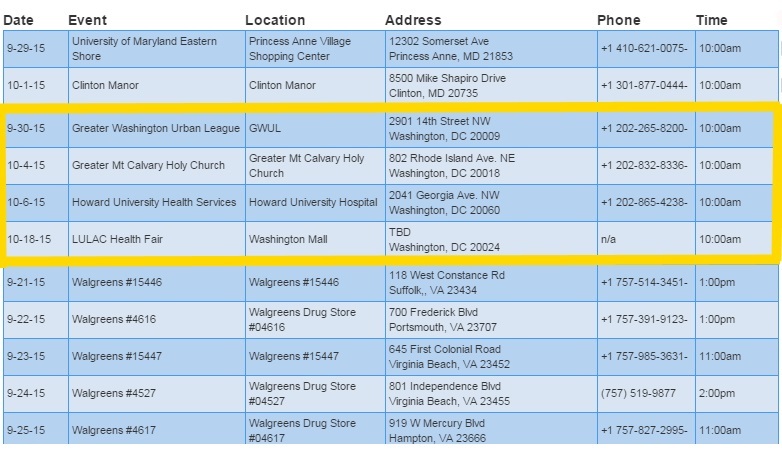 Afterward, participants can consult with a Walgreens pharmacist or certified wellness staff about his or her results. This free service can be completed in approximately 20 minutes – insurance will not be billed. *Tests are available to ages 18 and over. Test results are not for diagnostic or treatment purposes and are not conclusive as to the absence or presence of any health condition. Recipients are encouraged to report test results to their primary care provider. Pharmacist consultation with patient does not constitute medical advice. State restrictions may apply. I am excited to be an advocate for this wellness tour. I will be on location in the Washington, D.C. area for one of the dates listed below. I hope to see you there. 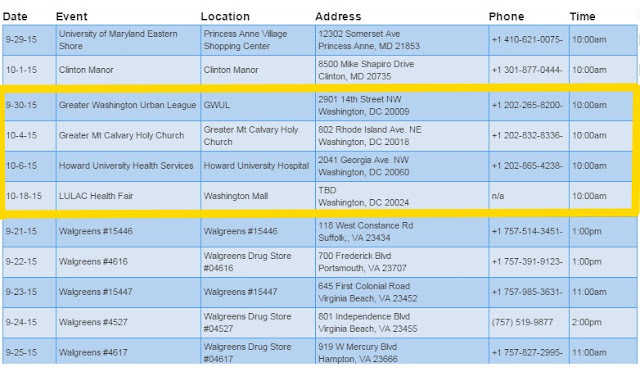 You can visit the website, Walgreens.com/Tour, to discover if and when the Walgreens Wellness Tour with the National Urban League will visit your neighborhood. 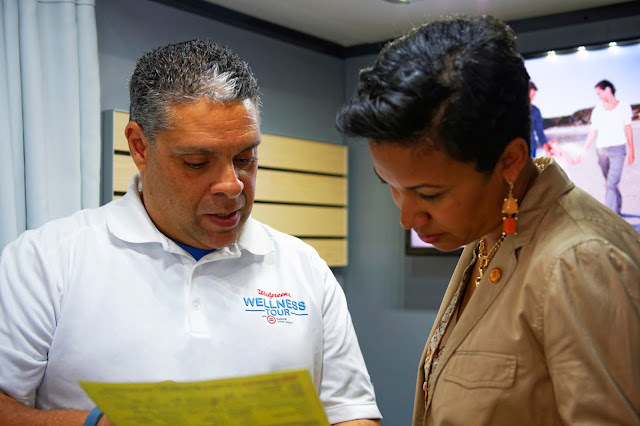 Walgreens relationship with the National Urban League empowers individuals with knowledge and resources for the prevention and early detection of today’s leading chronic diseases,” said John Gremer, Walgreens director of community affairs. 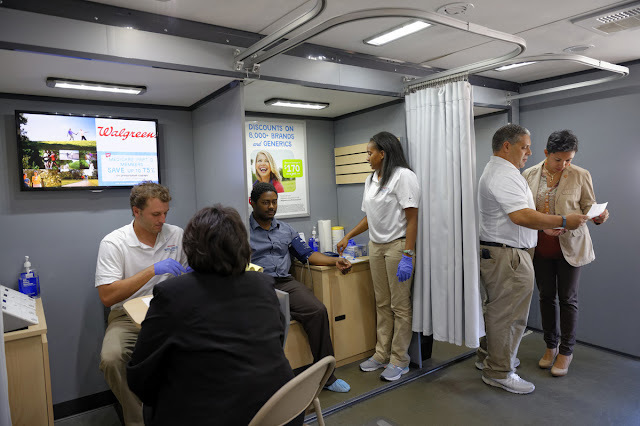 “Together with the National Urban League, we are committed to providing urban and at-risk communities access to valuable health tests that deliver key insights and assist individuals in the pursuit of happier and healthier lives. The continuation of the Wellness Tour is just one of the ways we deliver on that promise. If you have not treated yourself to anything in awhile, perhaps this is the place to start. You deserve the best you. Start your journey to self-care and give your mind, body and spirit a new, healthy outlook on life. This free service will only take approximately 20 minutes of your time, but can possibly add a few more years onto your life. Are you ready to give wellness a try? Leave a comment below with the city and state of a stop on the wellness tour that is close to your neighborhood. This is a sponsored post. I am a blogger advocate for the Walgreens Wellness Tour with the National Urban League and will be compensated for my time. All opinions and views are my own.